Our second presentation was by Dr. Rod Rosenbladt, professor and minister in the Missouri Synod Lutheran Church, via the magic of the internets. His seminal talk, “The Gospel For Those Broken By the Church,” is below. You can also get the mp3 or the entire speech as a PDF here. I closed our evening with an examination on Galatians 3 and II Corinthians 12 entitled “Burn Out As A Tool of Our Sovereign God.” Important resources for this talk came from a’ Brakel’s The Christian’s Reasonable Service, Duncan’s Does Grace Grows Best In Winter?, and Horton’s Christ the Lord. Of that last book, important resources are available. 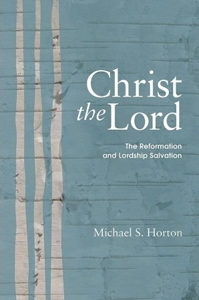 You can read Michael Horton’s preface to the book, and I have highlighted its balanced take on saving faith and evangelical obedience in ten propositions. If the concept of spiritual burn out is new to you, or if you’d like to hear a biographical take, a recent look is Cary Nieuwhof’s experience in “9 Signs You’re Burning Out In Leadership” and then 12 keys to getting back after going through burn out. Perhaps lastly, the words of the eminent Charles Haddon Spurgeon ought to be considered. His own words on dealing with his spiritual depression are recorded beautifully, and Randy Alcorn explored this subject as well (part 1, part 2, part 3). Spurgeon is worth considering on this subject. As you explore this difficult truth, may the Lord show you again that His strength is made perfect in weakness, and His grace is sufficient for you! This entry was posted in ministry, posts, theology and tagged a'Brakel, conference, counseling, gospel, Horton, Ligon Duncan, Spurgeon by blund. Bookmark the permalink.